Almost Posh is pleased to welcome back guest contributor Bridie with a treatise on brow shaping that I really need to incorporate into my life because my three year old daughter has better brow game than I do. Are you employing a policy of minimal intervention and blessed with natural brows untouched by human tools? Roll with it sister...comb those beauties up and out and gel 'em. NB: monobrows are still not cool. Are you of normal browage; just a girl, standing in front of an arch, asking him to love her? Only pluck below the brow? Forget that nonsense about never plucking above your brows, if you want a clean look then it needs to be done...brows don't just end though....they fade out with ever lighter hairs until you get to the forehead. I don't like the naked waxed above brow look across the whole brow, but definitely at the start of the brow (for the purposes of this article, the 'start' of the brow is that part closest to the nose) to eliminate the 'hairy' look. A good approach is to do your brows and use all the products you normally would and then take away anything excess. Your rate of growth and the level of contrast between your brow hair and skin (snow white beauties with quick growing black hair will have to pluck more often) will dictate how often you need to do maintenance. Sharp tweezers with good grip. They needn't be expensive, there are plenty of good options around. Ensure that you PROTECT AT ALL COSTS from men with ingrown beard hairs and children. Dropped tweezers are blunt tweezers. There are quite a few different types, but this article eloquently separates the good from the bad. 2. 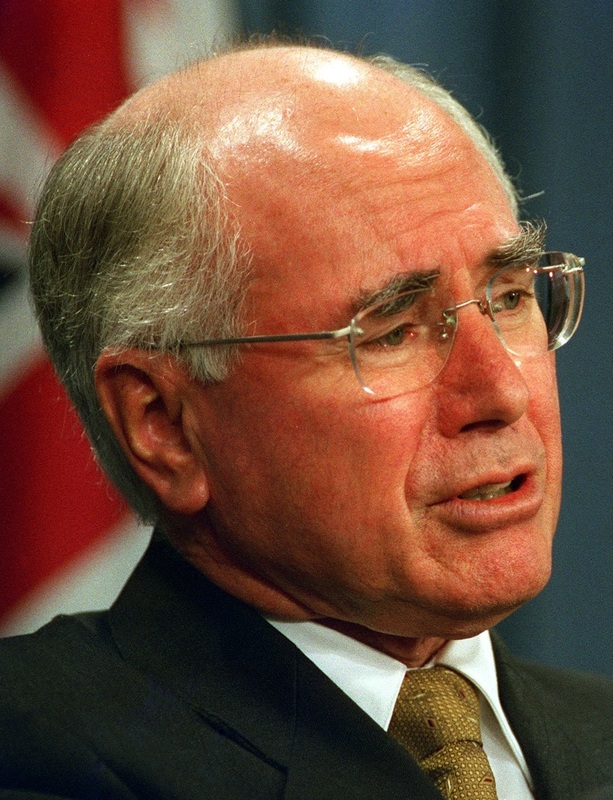 Comb brows up, cut any Howards (long errant hairs that stick up above the brow line, named for venerable Australian Prime Minister, John Howard). Now comb down and cut off any stragglers below the brow line. Turn slightly side on and check that there are no hairs standing straight out. If there are - snip 'em. 3. Now your basic shape should have revealed itself. Pluck anything obvious below the brow line and above (if you want to wax above - now is the time.) I don't like waxing the lid, but if it works for you, go for it. 4. Clean up the middle - this is where a magnifying mirror can be handy. Beware, what looks like a hair can actually be a blackhead or more likely, a sebaceous filament. When you're up that close you can get really get lost, but try and concentrate on the task at hand - if you see lots of brown dots, do a mask or get some AHAs on those buggers later. 5. Your shaping should be done now, and time to enhance your shape with a powder or pomade. I like to gently line the shape using swift light strokes of pomade; I use MAC Fluidline Gel Creme. Anastasia DipBrow Pomade is also widely loved by makeup artists and YouTubers. After using the pomade, gently fill in using a darker shadow with soft strokes. Comb through gel and you're set. To offset your banging new shape, blend some highlighter on your browbone. Castor oil can help (as can Vaseline) if rubbed in as part of your nightly routine, but avoid getting in eye area as it irritates and causes puffy eyes. Some corners of the internet recommend Regaine, but I've never been game. Lightly (VERY LIGHTLY!) exfoliating with a washcloth can help them grow. If you're growing back dark brows on light skin it will feel unsightly and bearlike. I recommend lots of concealer and dark lipstick to draw the eye away. How do you shape your brows? Any hacks to share? Linking up with the Monday Makeup Madness and BeYOUtyful You link parties.